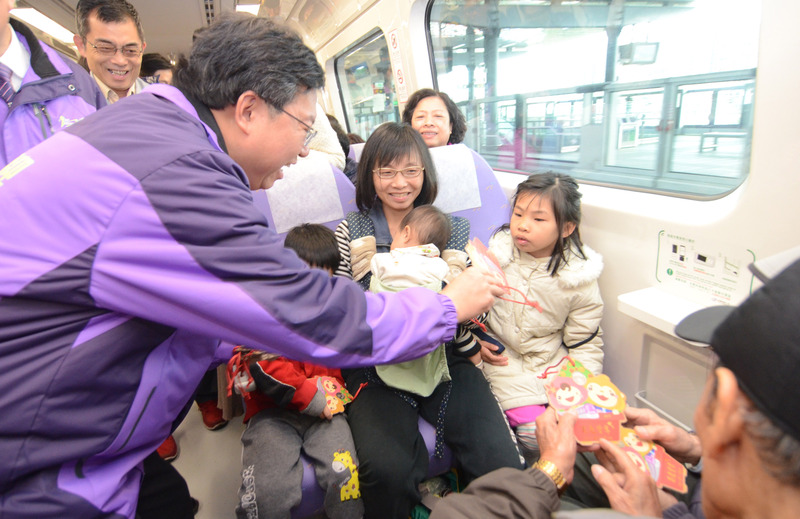 Taoyuan Mayor Cheng Wen-tsan (鄭文燦) gave passengers "good fortune" bags printed with images of the MRT train and its mascots, Tao and Yuango. The construction of the airport access line began in 2006, and the system was originally scheduled to open in 2010. The launch date has been delayed six times, mainly because of engineering and power-related issues. 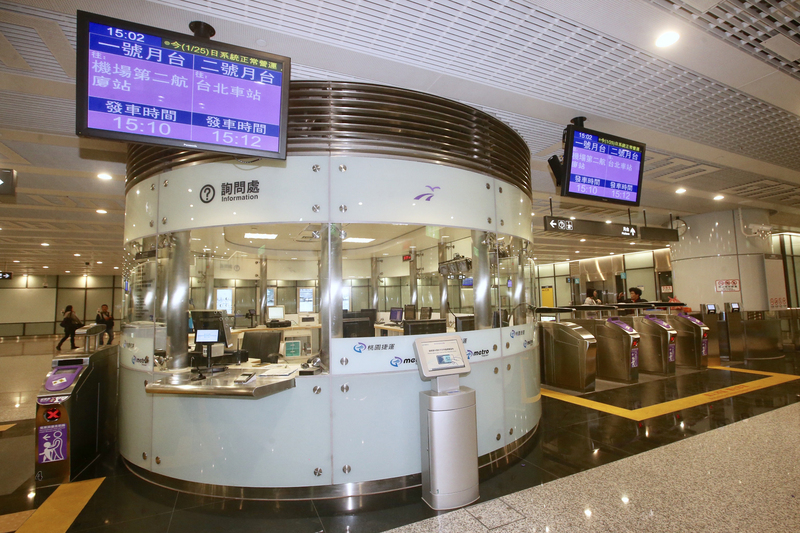 The trial runs will last for one month, with commercial operations set to begin March 2. 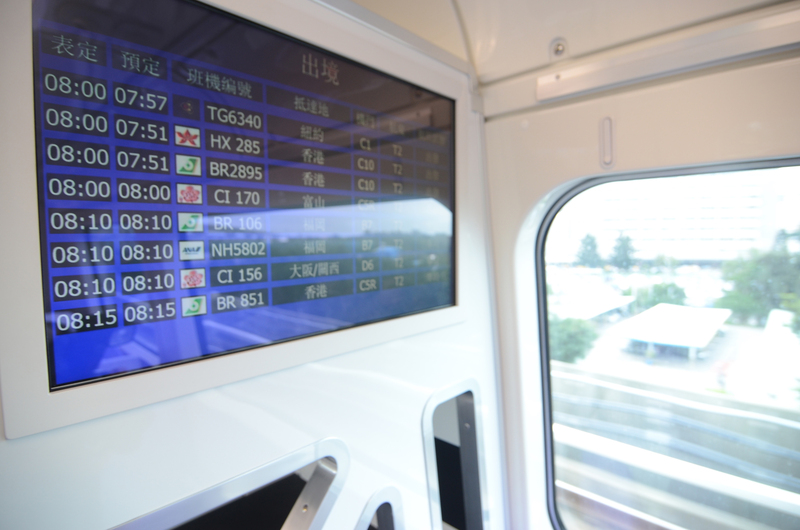 Flight information is displayed simultaneously on the MRT line. 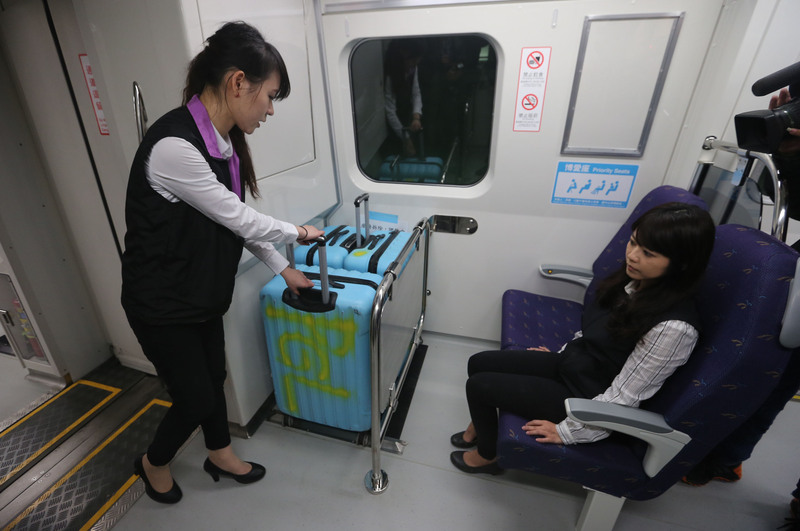 Passengers can store their luggage at multiple locations on the train. 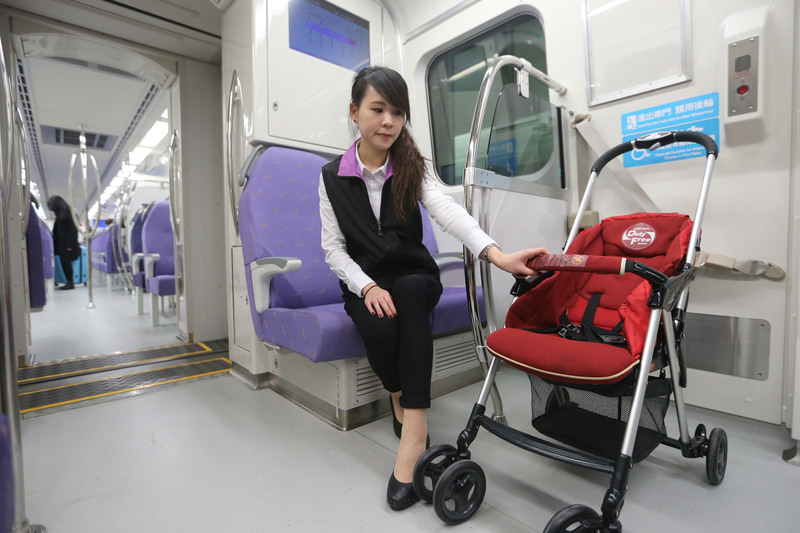 There is also space for baby strollers. 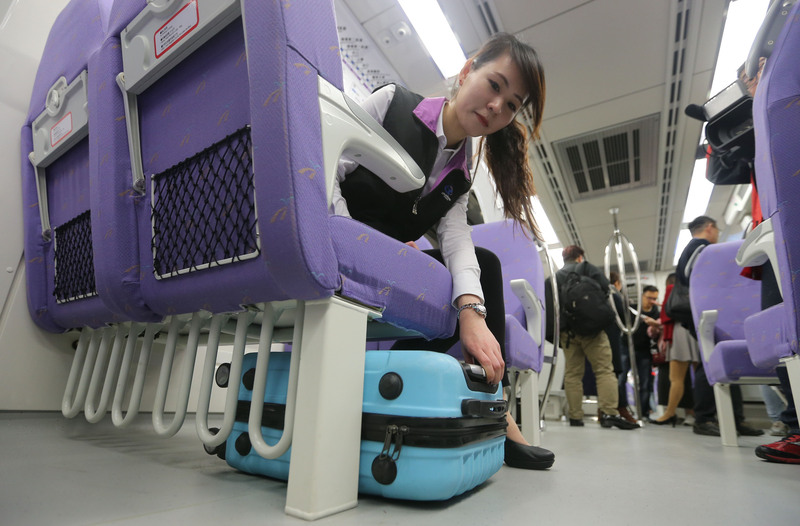 A ride between Taipei Main Station and the first or second terminal of the Taoyuan airport costs NT$160 (US$5). 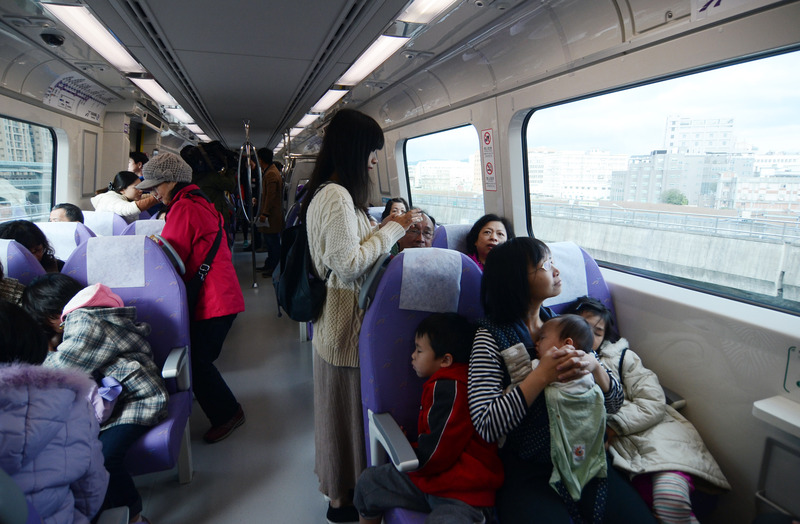 The train takes about 35 minutes from Taipei Main Station to the airport's Terminal 1. 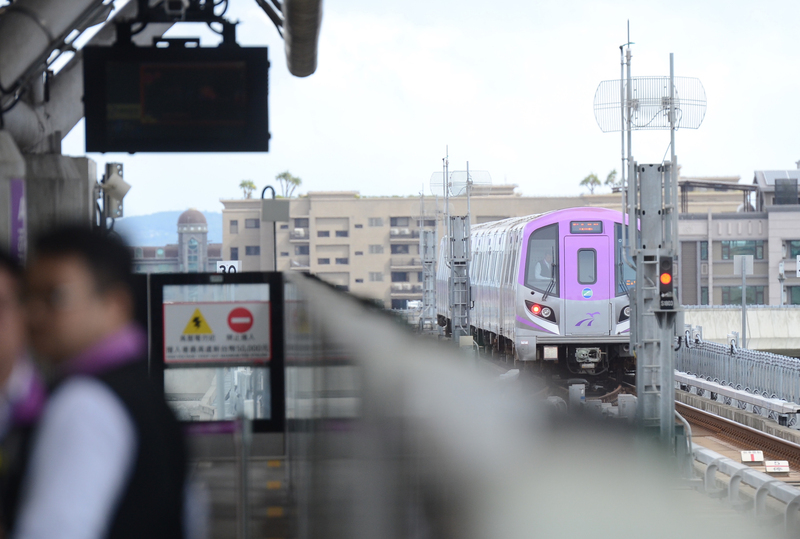 During the first two weeks of the trial period, the MRT will be open to group passengers who apply in advance. 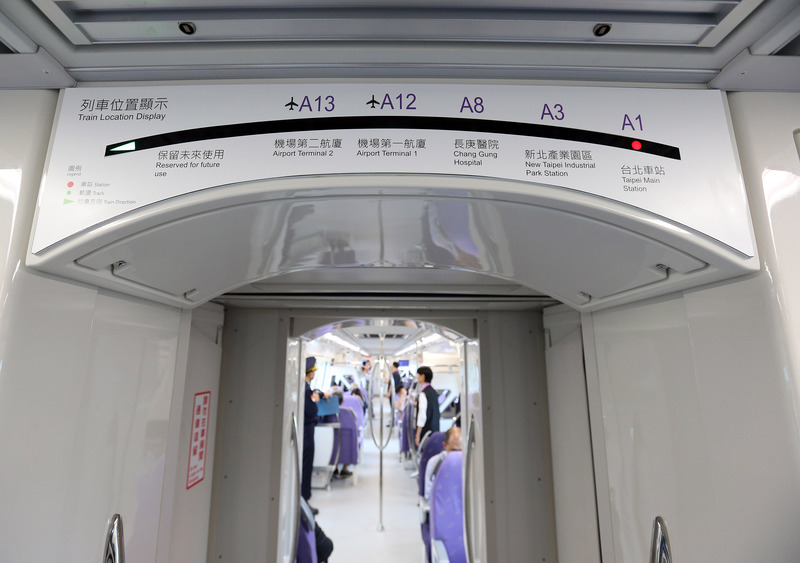 In the last two weeks, it will be available to individual passengers, according to the Taoyuan MRT company. 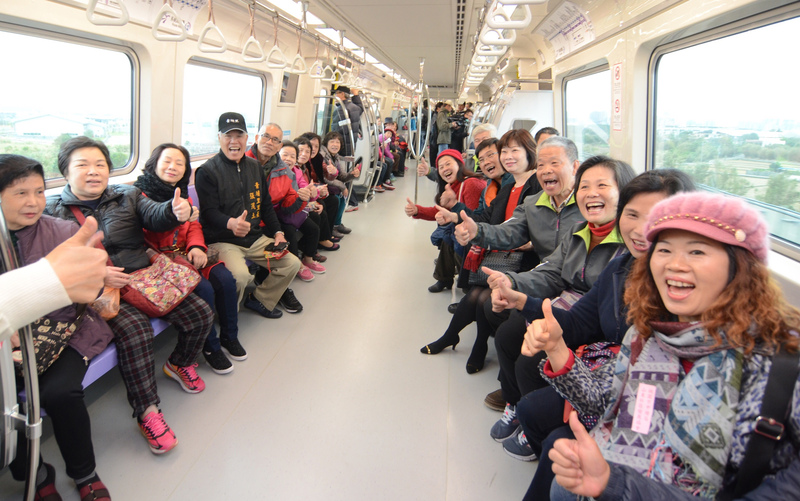 Rides will be free during the one-month trial period, with the company estimating that 700,000 passengers will use the line during that period. 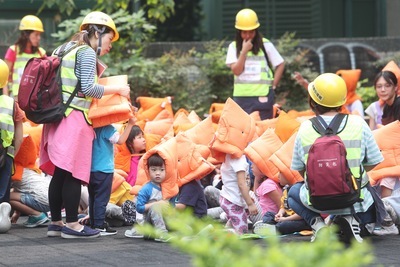 After commercial operations begin, passengers will be offered a 50 percent discount on all trips during the first month, according to the company.